Seven PowerPoint Presentations to introduce the basic concepts for an understanding of the underlying principles of Biology. Each presentation contains between 15 and 38 slides with a set of multiple choice questions. Ten PowerPoint Presentations to introduce the basic concepts for an understanding of the underlying principles of Genetics. Each presentation contains between 15 and 38 slides with a set of multiple choice questions. One hundred and eighteen tried and tested experiments. Detailed instructions are provided, together with a complete list of apparatus, materials and reagents needed, and a set of questions to help the student interpret the results and criticise the experimental design. 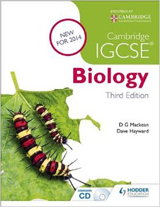 Short answer questions for testing GCSE and IGCSE Biology, with answers; exercises and discussion questions without answers, plus a series of interactive multiple-choice questions with answers and explanations. Drawings and notes on a selection of plants, animals and fungi; their structures and life cycles. (Background article: Buds and Twigs). (Background articles: Amoeba, Paramecium, Spirogyra, Chlamydomonas, Euglena, Parasitic Protozoa). (Background articles: Aphid, Butterfly, Honey Bee, Housefly, Locust, Mosquito, Termite, Weevil). (Background article: insect structure and function). (Background article: Citrus Swallowtail Butterfly). (Background article: Fish: Structure and Function). (Background article: Tilapia, an Introduction). (Background article: The frog, an Introduction). (Background article: Birds, an Introduction). (Background article: Fungi, an Introduction). A selection of video clips illustrating topics covered on this site, including birds, insects, plants, and protista. Index of articles, teaching notes and illustrations. Useful links to other internet resources relating to the topics on this site. 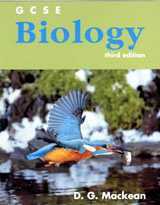 Browse books on biology and other sciences. All the material on this web site is the copyright of D.G. Mackean. If copies are made for use in schools or colleges, or for individual use, no permission is necessary. For copies used for publication elsewhere, permission should be sought from IanMackean@hotmail.com Please also use this email address for any other enquiries about the site.